Wake Up! This Is the Best Time for Wakeboard! I would like to present you the great summer activity today. Let me introduce – the wakeboard! This activity is created for this time a year. When it is really hard to stay in the office all day, when you only can think about the holiday, sun, beach and relax. Now you can enjoy all these stuff in Krakow! Did You Know That in Krakow We Have a Beach in the City? If you will finally have time off, you are going to visit Krakow for a holiday, stag do or hen party, you can have a beach, sun, and water sport actually in the middle of the city! You don’t even have to go far away from the Main Square! We will pick you up from your hotel and take you to this beautiful location nearby. So during the day you will lie on the beach, enjoy the sun and what is the most important you will try wakeboarding which is great activity. And for the evening you will be back in the city centre ready for the party. Crazy Water Sport and Chill out on the Sunny Beach! Get ready for some chill out on the beach and fun sliding on the water. Enjoy wakeboarding on a sunny day, relax on beach beds. Full equipment, instructors & transfers included. Wakeboarding Is Super Fun for Everyone! Why wakeboarding? Because this is perfect kick of adrenaline and joy. This is even more exciting than most of water sports. For sure you will have a lot of fun and you will feel the joy. This activity is suitable for everyone, for people who loves water sports or even for people who are not their biggest fans. Professional instructor will be there to take care of you. He will explain everything before, give you all training you need and help you during the activity. You will have all equipment : life-vest, helmets and board. 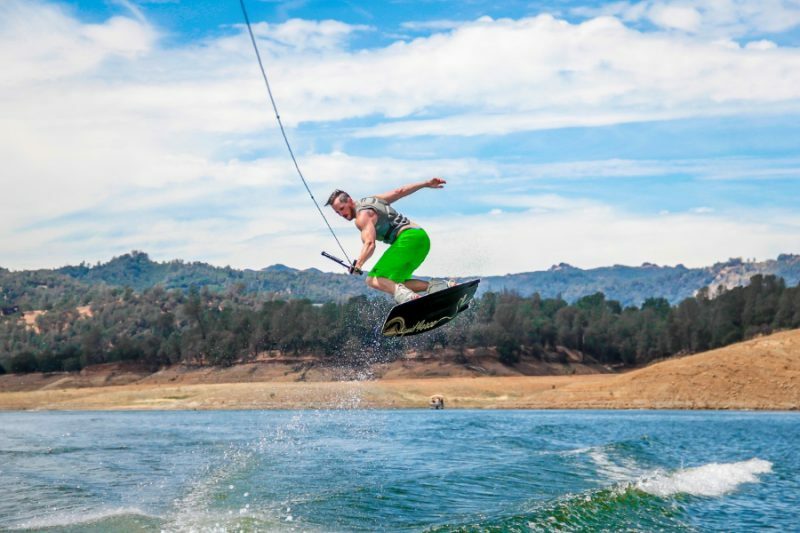 Wakeboarding is the combination of water skiing, snowboarding and surfing so if you are fan of water or snow sports this activity will be perfect for you. If you are looking for a great activity to spend extraordinary day with your friends you should choose wakeboarding. Feel free to phone us or send a quote for details.